Four years in the making, the Top 500 NGOs grows out of The Global Journal 2012 and 2013 Top 100 NGOs rankings. 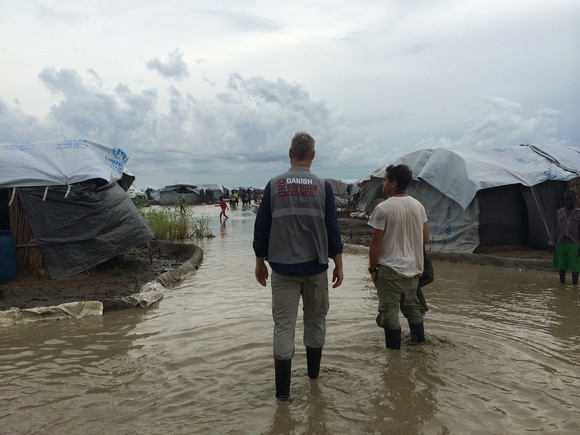 Among the highest ranked NGOs of 2015 are the UK organizations Oxfam, Islamic Relief International and Save The Children, the USA organizations Acumen, Partners In Health and World Vision, as well as organizations from Bangladesh (BRAC), Denmark (Danish Refugee Council), and the top-ranked MSF (Doctors Without Borders) from France. Among new entries to the top tier (top 100) are the Grameen Bank and Islamic Relief International, as well as Survival International, Garden of Hope from Taiwan, the African Ushahidi, Help Age International, the Gavi Alliance, Action Aid, Make A Difference, Voix Libres, Democracy Reporting International, Friends of the Earth, the Nobel Prize-winning Malada Fund, Techo from Chile and Kimse Yok Mu, the leading and independent Turkish NGO. The USA still leads in sheer number of ranked NGOs with 26% of the 2015 rankings. Within the top ten are the Acumen Fund (#4), Partners In Health (#7), and World Vision (#10). 38 USA organizations rank in the top 100, including Ceres, Landesa, One Acre Fund, Cure Violence, Ashoka, Mercy Corps, Room to Read, Root Capital, Rare, Care and the Open Society. A total of 131 of USA organizations appear in the rankings overall. After the USA’s 26% share of the rankings comes the UK with 9.2%, then Switzerland 6.6%, India 6.2%, and Japan as the Netherlands 3.6%. Along with the expansion of the rankings, Global_Geneva has enhanced its ranking methodology and integrated a number of changes coming out of academic research and criticism. “This year our criteria for the rankings has further evolved from the original to a broader and more inclusive account of NGO activity,” says Nothias. “The many criteria make possible a more nuanced understanding of all the great work the rankings try to highlight.” The rankings and its 2015 Methodology paper can be read on the website. Global_Geneva was launched in 2011 by Jean-Christophe Nothias, former editor of The Global Journal. In 2014, following the 2012 and 2013 Top 100 NGO rankings published by The Global Journal, Global_Geneva took over the expansion of the ranking. As the home of the Top 500 NGOs ranking, Global_Geneva will monitor the growth of the non-profit sector, looking for ideas, values and models that challenge normal approaches to policy and the market. By ranking NGOs, Global_Geneva seeks to: showcase the diversity and scale of organizations encompassed by the ‘NGO’ label; compare NGOs using criteria that transcend geography and field of activity; stimulate inquiry and debate about NGO impact, innovation and sustainability; and present a wide range of exemplary NGO work so that sector-wide trends can be observed year to year and annual rankings adjusted over time. Global_Geneva’s research team began as a group of Masters students and PhD candidates in the Geneva area, and has expanded to a global network of researchers working in a number of languages. Global_Geneva’s network of NGOs is built from over 1,800 organizations. NGOs500 is poised to become not just the definitive ranking of NGOs but also a forum for discussing trends, ideas and innovations related to the non-profit sector.